Love the cute card! What a cool surprise blog hop! And your extra giveaway too! That card is super cute and the colors on it are wondeful. Love the little banner and the piece of twine. Great card !!! It's so nice to stop and meet all of you! You are all so talented and sweet! your designs are always so wonderful!! Sarah will love this card! Happy birthday to Sarah and your card is adorable! Adorable card! I really, really love it! Love this CAS card! Great papers and I love that scooter! Such a sweet card! I love the scooter!Thanks for the chance! Cute! Love the little banner flags. Super cute, I LOVE that little bike! I love your card! So crisp and fresh! Happy Birthday to Sarah! Love the card. And happy birthday to Sarah. How adorable! I love the SCOOTER! 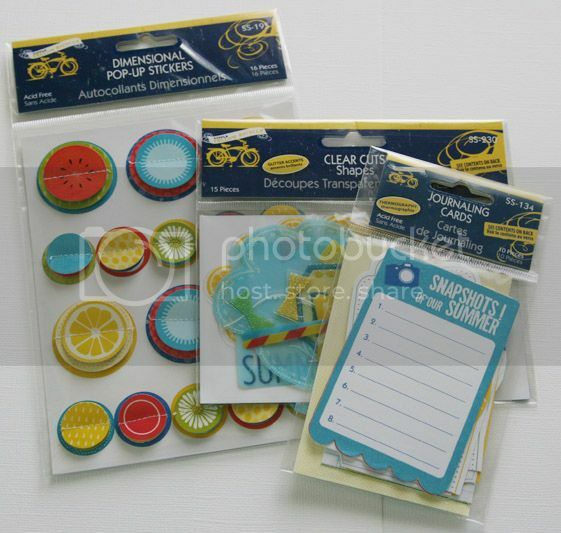 :) :) I have some of this MME line and now I want to go use it! Happy Bday Sarah! Cute card! 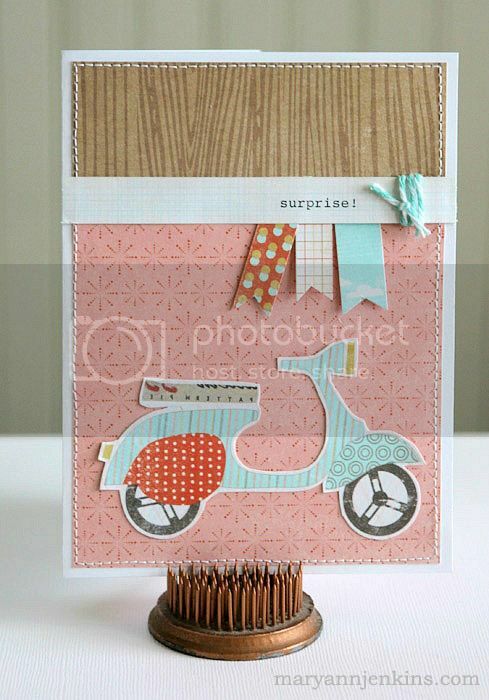 I love the scooter, the wood grained paper and the banner pieces! Lots of fun! TFS! Sweet card Mary Ann & Happy Birthday Sarah!! love your card! Those papers are beautiful, and I love how you did the little banner across the top! Thanks so much! What a fun card! Those little banners are so cute! And I love the touch of twine as well!